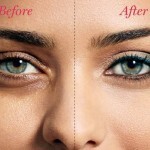 Dark circles under the eyes can be an unsightly thing to have. However, this doesn’t mean that they cannot be made to go away, because they can. You just have to use some awesome home remedies to cure them up and say goodbye to them. Some home remedies for dark circles will be highlighted here for all to get to know better. Is There Two Types of Dark Circle Skin Conditions? The answer to this question is yes. 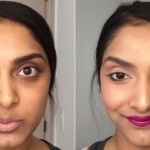 There are two types of dark circle skin conditions. The first one is called the blue type and the blue type is all about the pooling of blood that does happen in the veins. 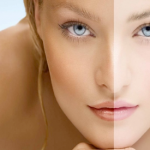 The other dark circle skin condition is called the brown type and it is directly related to hyper-pigmentation, genetics, and also exposure to sunlight. Do Certain Lifestyle Factors Influence Dark Circles to Appear? Lifestyle factors can indeed influence the appearance of dark circles occurring up underneath the eyes. If a person does smoke cigarettes regularly. It can prove to be the very thing that can contribute to this condition in a major way. This is because of the chemicals and other ingredients that are found in cigarettes can lead up to this condition. Another thing that greatly encourages dark circles under the eyes is when a person has a serious lack of sleep. It can prove to be the very thing to wreak havoc on the body in a number of ways and dark circles is just one of them to be exact. Sleep is very important to the body and when there isn’t enough of it. It can affect the blood vessels that are up underneath a person’s eyes and cause them to get larger and wider. Does Lemon Juice Work Well for Dark Circles? Lemon juice not only contains lots of Vitamin C naturally and is a form of highly concentrated acid. It also is a very good agent to use to help heal the skin. It can definitely help to combat any problems that do emerge in connection with dark circles under the eyes. Lemon juice should be mixed in with other ingredients such as turmeric and tomatoes for instance. It should only be left on the skin for a few minutes at a time, say five minutes at most, and then washed away with cool water. Does Tea Bag Work Good for Dark Circles? The placing of cooled tea bags on to dark circles can prove to be the very thing to help them. This is because tea is naturally loaded up with all sorts of wonderful and natural things. Some of these very healthy and natural things are no other than antioxidants. Tea bags can indeed be used to help eliminate the presence of dark circles in a major way. Does Cold Compresses Work Good for Dark Circles? Cold compresses can be placed on dark circles under the eyes. What is great about this form of treatment is apparent. It is that the very cold temperatures do prove to be an effective way of getting the dark circles to fade away. Does Crushed Mint Work Well for Dark Circles? Crushed mint is wonderful for dark circles in that they do two things right away. What are these two things? These two things are no other than provide a very cooling and soothing effect for a person’s eyes. This herb can, and does, provide one with overall effects that do take a little time to surface. However, when they do happen, a person will begin to see noticeable improvements where the dark circles are concerned solely. Do Some Medications Cause Dilated Blood Vessels That? The answer to this question is yes. When these medication cause the dilated blood vessels. It, in turn, is what does lead directly to no other than the development of dark circles up under the eyes. Dark circles do form under the eyes for a number of varied reasons. They aren’t a very pretty thing to have. Nonetheless, they are something, which can be treated fully with the right kind of treatment. What is this right kind of treatment? It is no other than by using some good and proven home remedies. These proven home remedies can prove to you that you can be freed up from dark circles.